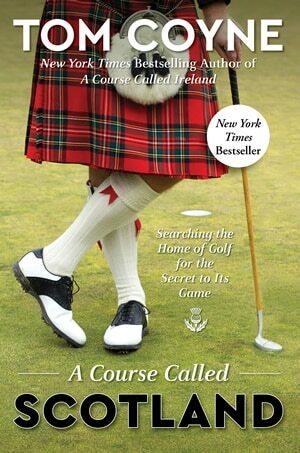 Our luxury golf break to the Whisky Isle of Islay is based in The Machrie Hotel & Golf Links which, enjoys an enviable location, nestled beside seven miles of pristine beach in the Inner Hebrides. 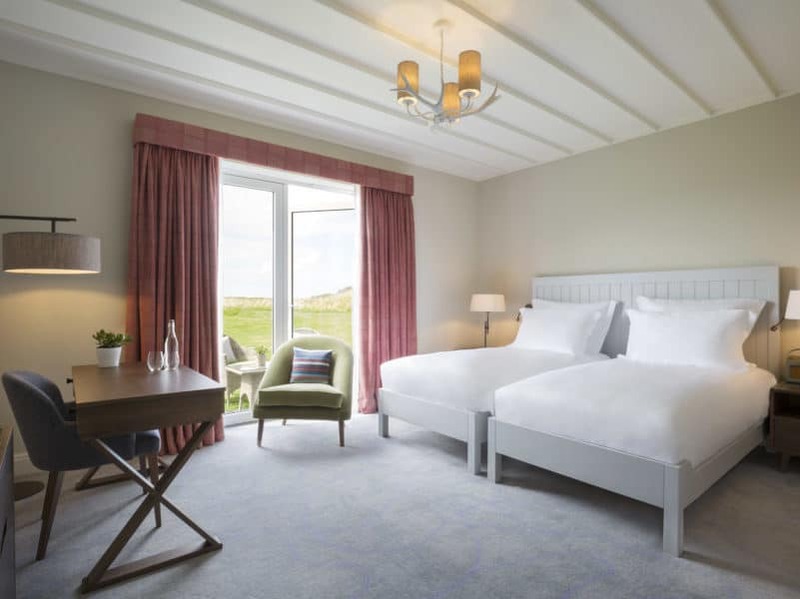 After a complete top to bottom renovation and expansion, The Machrie Hotel has re-opened with 47 modern and beautfully designed rooms, suites and lodges, some with their own outdoor terraces and stunning views across the Links. 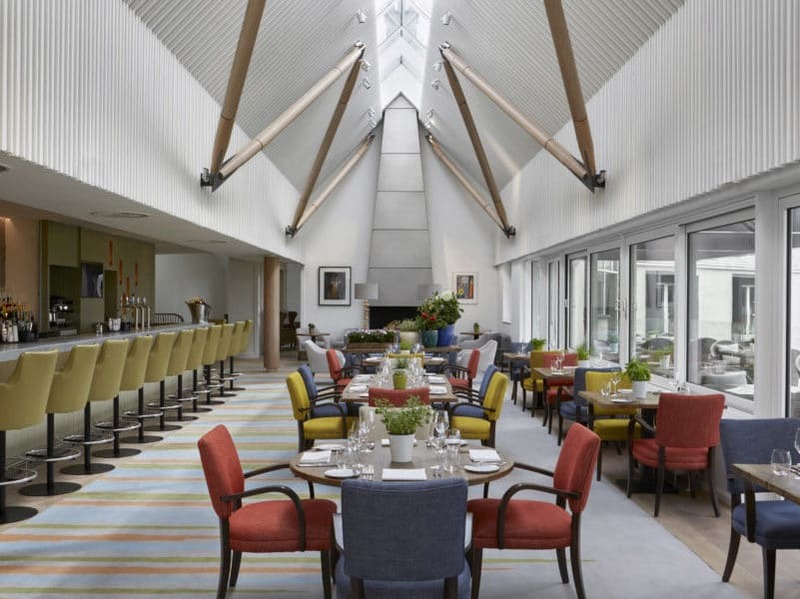 The hotel offers visitors a place of calming luxury overlooking the historic Machrie Links, itself fully renovated, and has a stunning bar and restaurant onsite as well a gym and the only spa on the island, PureGray Spa, where one massage treatment is included to ease those golfing muscles. 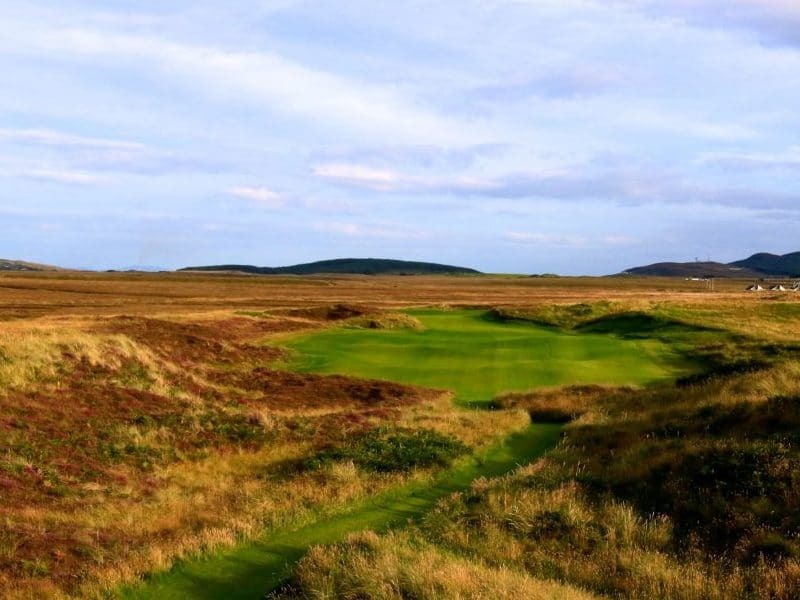 The Machrie Links was originally designed in 1891 by Willie Campbell, and has now been fully modernised by D J Russell, the former European Ryder Cup Vice Captain and PGA tour player. 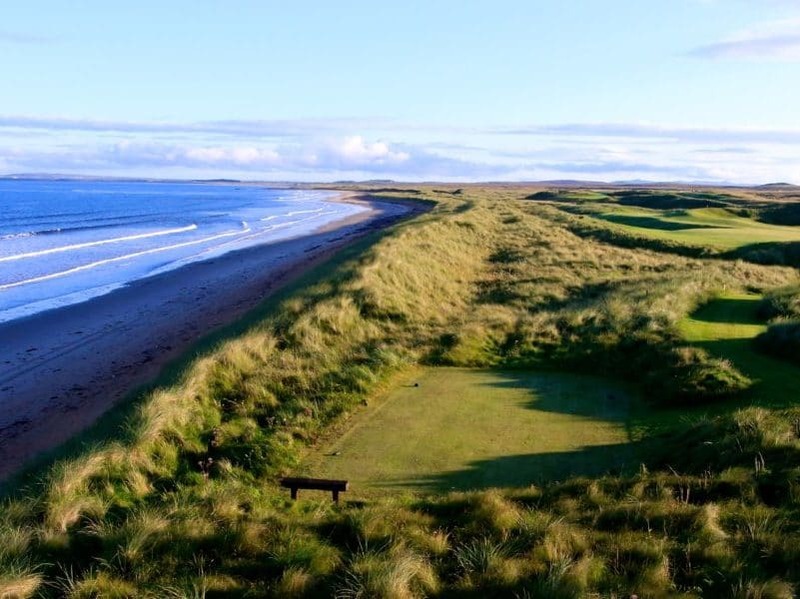 This has resulted in a stunning combination of golf course, and hotel, designed for the 21st century golfer but retaining the characteristics of this classic hidden links. No trip to Islay would be complete without a visit to the Isle’s most famous export…..Whisky! With 8 distilleries currently operating (number 9 opening in December 2018) and future new openings to come, Islay really lives up to its reputation as the “Whisky Isle”. Your trip will include visits to two of the most famous distilleries on the island, Ardbeg and Bruichladdich, for two of their more in depth tours into the production of Scotland’s national drink….with plenty of sampling to go with them! With return flights from the mainland and all transfers included this really is seeing the best that Islay has to offer.